Bringing the right team together for a meeting or brainstorm can take an idea from being good to great. When we tap into ideas from teams across the globe, our work becomes more collaborative and productive. It doesn’t feel like... well, work. Google have set out to redefine meetings. 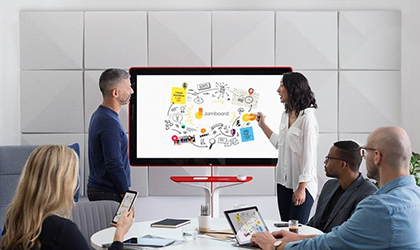 They have introduced Jamboard – a collaborative, digital whiteboard that makes it easy for your team to share ideas in real-time and create without boundaries. We’re moving the whiteboard to the cloud. 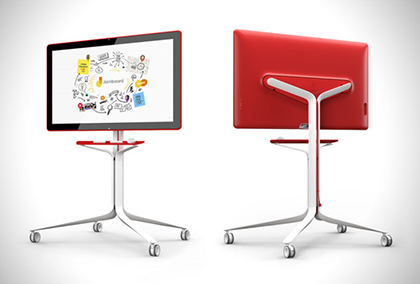 Jamboard’s touchscreen was built for precision drawing. It automatically recognises the difference between using the stylus to sketch or the eraser to start over and neither require batteries or pairing. Jamboard can also sense when you’re using your finger to wipe work off of the screen, just like a classic whiteboard (except you won’t get ink on your hand). The intuitive, single-cable setup makes it easy to start creating quickly with Jamboard – just wheel it in, turn it on and start brainstorming.